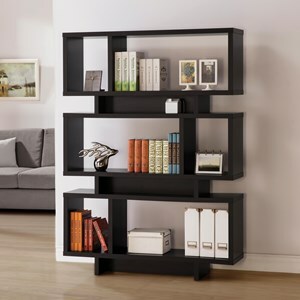 Give your home a modern facelift with the Lean Living Leaning Bookcase. Contemporary in design, it has a minimalistic structure that emanates a light and spacious presence. 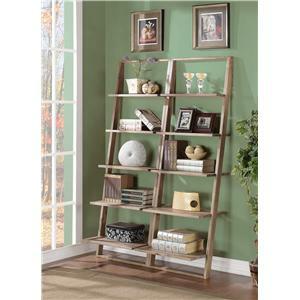 Aptly named, this bookcase "leans" outward from top to bottom for a fresh look. 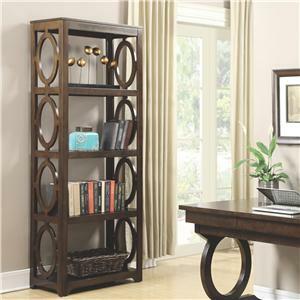 It has five open shelves for whatever your heart desires, whether its placing home decor, accent pieces, books, or personal treasures on display. 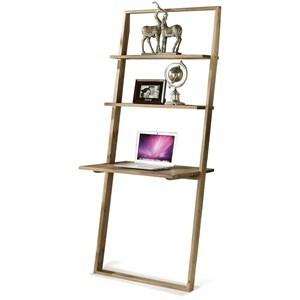 It is crafted from Acacia solids and is available in either a Smoky Driftwood or Burnished Brownstone finish. 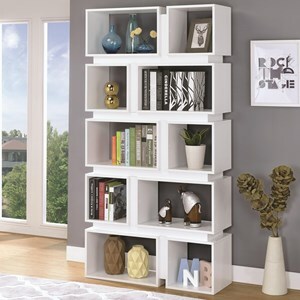 Chic and modern, the Lean Living Leaning Bookcase is a refreshingly novel piece to outfit the office or living space in your home. 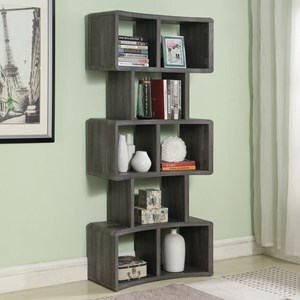 The Lean Living Leaning Bookcase with 5 Shelves by Riverside Furniture at Value City Furniture in the New Jersey, NJ, Staten Island, Hoboken area. Product availability may vary. Contact us for the most current availability on this product. Construction: Case Constructed of Acacia solids. A combination of cabinetmaker hardwood solids and hand-selected veneers applied over medium density fiberboard (MDF) and particle board. MDF and particle board are used in quality furniture for surfaces that require stability against the varying environmental conditions in modern homes. The use of these materials allows Riverside to design heirloom quality furnishings that are not only beautiful, but will increase in value through the years. 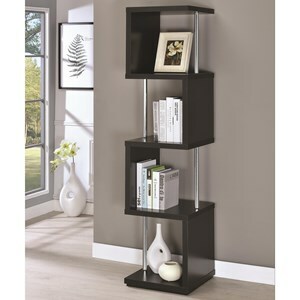 Create a clean and modern space in your home with Lean Living. Crafted from Acacia solids, Lean Living has a minimalistic design that provides convenient storage space in contemporary style. Aptly named, these pieces "lean" outward offering a refreshing look in any room. Available in either a Smoky Driftwood or Burnished Brownstone finish, Lean Living is a chic and modern approach to decorating your home. 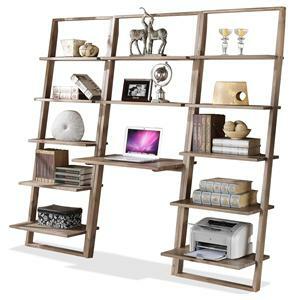 The Lean Living collection is a great option if you are looking for Contemporary furniture in the New Jersey, NJ, Staten Island, Hoboken area. 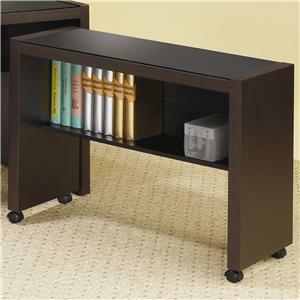 Browse other items in the Lean Living collection from Value City Furniture in the New Jersey, NJ, Staten Island, Hoboken area.